Hey bookworms! 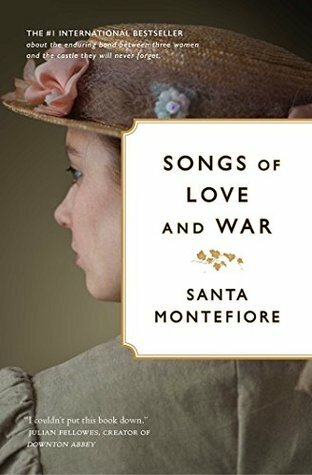 Today I have a guest post from the author of Songs of Love and War, Santa Montefiore, about what a day in her life looks like. From making time to write to taking care of her family and everything in between! Check it out below and then have a look at the schedule to see what my fellow bloggers have in store for you today as well! pleasant as possible, otherwise you’ll always find ways of avoiding it!) I have a few exciting TV and movie projects cooking at the moment, so the odd call or email about those fires up my day. I try not to waste time reading emails during work time, however, but it’s tempting! I try to make time for other things besides writing, otherwise one can go a bit stir-crazy! I did a palm reading course at the College of Psychic Studies here in London, which was fascinating and I love the theatre (Hamilton is my latest theatre visit and it was dazzling) and cinema. More than anything I love being at home with my family. We have a house in the countryside, about an hour from London, and I catch my breath there, in nature. I love birds and have loads of feeders in my garden, and I walk round the woods, which are heavenly, and take my mother’s dogs for a run round the fields – now I’ll be taking my dog as well. The countryside recharges my batteries, as London is always hectic and social. I find writing comes easily down there because it’s so peaceful and there are fewer distractions. But I only go there on weekends and during the children’s school holidays – and when the children are home I don’t get anything written at all; not a word!